Our organization is involved in a wide range of manufacturing and exporting Hospital Hollowares around the globe. We manufacture these products using genuine materials sourced from leading sellers. These products are given extraordinary features, such as long and reliable durability. 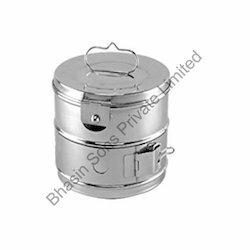 All the products listed under this category are Instrument Tray, Bed Pan (Male/Female), Kidney Tray, Urinal Male/Female, Catheter Tray, Bowls, Forcep jar, Gallipot, Spitioon Mug, Dressing Drum Seamless, Dressing Drum Jointed, Dust Bin Pedestral, Dust Bin Push Can Type, Cidex Tray, Formalin Chamber and For 4 Body. Having well organized distribution network, we offer an assorted range of Stainless Steel Urinals. These products are manufactured using higher quality raw materials to ensure its defect-free reliable products. We offer two different types of urinals namely male and female. Both the urinals have the capacity of 650 ml. 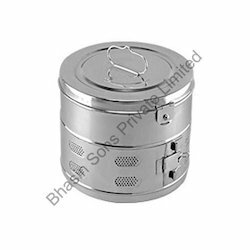 it is made of finest quality steel, provided with uniquely designed base with separated handle to use it germ-free. 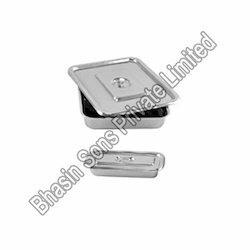 Our expert team allows us to manufacture and export leading products of Kidney Trays. We use refined technologies and machineries for manufacturing these products. These are manufactured using premium steel metals purchased from top vendors. The extraordinary features of this are easy wash ability. These are available in different sizes to meet your requirements. 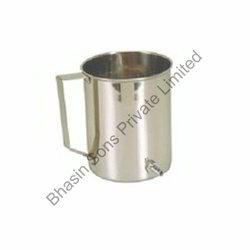 Our organization is involved in manufacturing, supplying and exporting a wide range of Spitton Mug worldwide. We manufacture these products using high grade steel and raw materials sourced from genuine vendors around the globe. These mugs are featured with strong body, international designs, lengthy handles, open close lids and royal look. All our drums are in great demands in the mist of other products in the market. 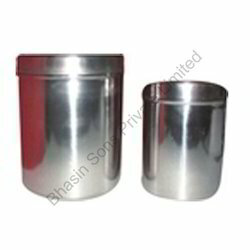 Bhasin Sons Private Limited is one of the leading names in the field of manufacturing, wholesaling and exporting Dressing Drum around the globe. We manufacture all our products with best steel materials sourced from top most mines. These are featured with strong body, easy lifting handle, very convenient to open and close and various collection of size. Our products are preferred by all leading hospitals and clinic for its user friendly make. 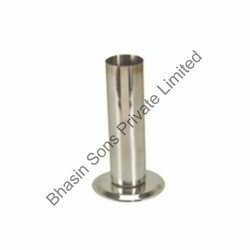 We at, Bhasin Sons Private are engaged in manufacturing, exporting and wholesaling Stainless steel Basin around the world. Our firm uses most select range of steel materials for the manufacture of our products. These products are featured with attractive design, deep inner curve and easy wash ability and free from disinfection. We have designed our tray in away to promote portability. All our trays are in wide appliance in hospitals and labs. We offer a wide range of Instrument Tray (s/s) that is efficiently constructed and precision-engineered. They are well-known for its rust-free property and corrosion-resistant. Moreover, these trays are robust and play a vital role for bed borne patients. We offer these products at industry leading price range to please our clients present all over the world. 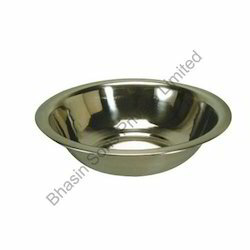 Our organization is involved in manufacturing and exporting a wide range Bedpan around the globe. We manufacture these products using stainless steel raw materials sourced from trust worthy vendors in the market. These are featured with closable lids, easy handles, rust free make and light weight body. 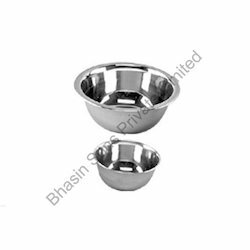 We hold the expertise in manufacturing, trading and exporting Hospital Bowls around the globe. Our products are manufactured using first-grade steel and raw materials purchased from trust-worthy vendors. The entire products of us are featured with a neat appearance, sturdy structure and most excellent durability, safe and sterile make. These are mostly preferred in keeping water and sterilizing liquids in hospitals and laboratories. Our expert team allows us to manufacture, wholesaling and export leading products of Dressing Drum Jointed. We use classy technologies and machineries for manufacturing these products. These are manufactured using premium steel materials purchased from leading sellers. 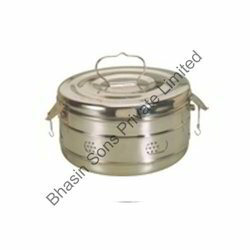 The extraordinary features of this are stylish look, sterile lower drum, easy handles and rust free body. These are useful in clinics and hospitals for dressing purposes. With wide and industrial experience we are able to offer Cidex Tray. We produce these types of products using excellent quality of steels and raw materials purchased from leading vendors. Our firm has featured this with tough steel body for lengthened usage, reliable performance and portable functioning’s. These are applicable in all types of medical fields and hospitals for transporting medicines and surgical instruments. with wide and industrial experience we are able to offer urinal male/female around the world. We produce these types of marvelous products using wonderful quality of steels materials sourced from foremost vendors. 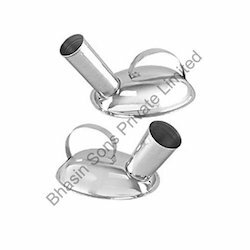 Our firm has featured with easy fitting facility in male and female urinal organs, anti rust make, can be easily sterilized and weight free body. These are widely used in hospitals and old age homes for trouble free urination of patients and old people from bed. Our teams of talented professionals are dedicated towards managing the production and export a wide range of Catheter Trays. With abundant technical skill and manpower support, we manufacture these products with utmost care on the quality of the product. We offer these trays in three different dimensional specifications such as 217 mm x 78 mm x 38 mm, 318 mm x 91 mm x 44 mm and 400 mm x 70 mm x 50 mm. Most of the hospitals, present all over the world prefer our Cather trays due to its stainless steel body make, robustness and reliability. 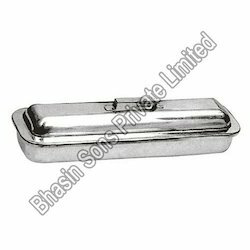 Our organization is the leaders in field of manufacturing and exporting a wide range of Instrument Tray with Cover (s/s). These products are manufactured under the guidance and advice of our esteemed professionals. 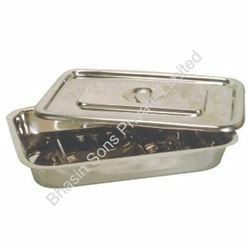 Instrument tray, we manufacture are the most acclaimed all over the world for being efficient and trust-worthy. They are widely used in hospitals, research laboratories and clinics to carry and hold wide assortment of surgical instruments. We offer these products at diminutive price to please our clients. 8" x 6" 9" x 6"
10" x 8" 11" x 7"
11" x 9" 12" x 8"
12" x 9" 12" x 10"
14" x 10" 15" x 12"
Backed by the perfect state-of-art infrastructure, we manufacture and export an ample range of Lotion Bowls. 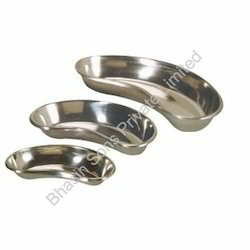 These products are manufactured using best quality stainless steel to ensure its long-lasting. Our products are manufactured according to the compliances of international standards. It finds its wide range of applications in hospitals and clinics for storing and using an ample range of lotion for applied for treating patients. We are well-known experts in manufacturing and exporting Midwifery Case. We manufacture these battery cases using finest aluminium materials, which has matchless durability and reliability. We manufacture these midwifery cases following the advice of our skilled experts. 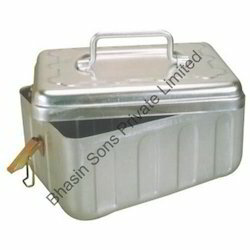 These are provided with an efficient lid, spacey box and efficient handles, which is easily portable. These cases are manufactured in accordance with the international standards and compliance. 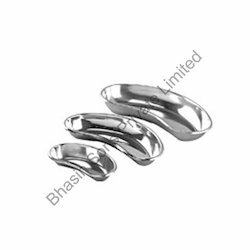 We offer a wide range of Forceps Jar in the market. We manufacture these products using better-quality alloy materials with the help of sophisticated machineries. We offer these forceps jar at a wide range of shapes and sizes, in accordance to the customers required and normal hospital required specifications. These products have huge appreciation all over the world. Moreover, it is used widely for placing forceps of different sizes and shapes neat and tidy. Our organization is involved in manufacturing and exporting a wide range of Dressing Drums. 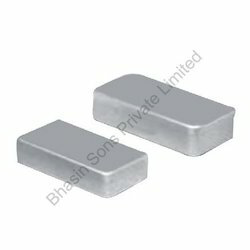 These are made up of high quality stainless steels to meet the international competitions. It is available in different shapes and sizes according to the client’s request. More over this drum is provided with side and bottom filter for effective performance. We prefer these kinds of durable drums for hospitals and clinics. Our squads of well-experienced professionals, we are dedicated towards in manufacturing and exporting Steel Irrigators. 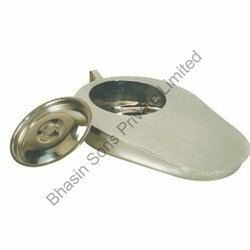 These are manufactured using fine quality of steel materials that are in adherence with global standards. The specialty of these products is that it is provided with a valve opening at the bottom of the vessel for easy irrigation purpose. In addition it is materials used for manufacturing is rust-free and corrosion-resistant. We find its applications widely in hospitals and scientific research laboratories. 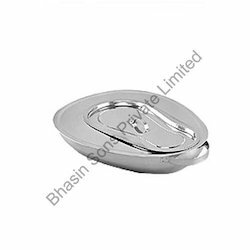 With wide distribution network, we offer a wide range of Bed Pans Slipper Type that has a huge appreciation from our clients. 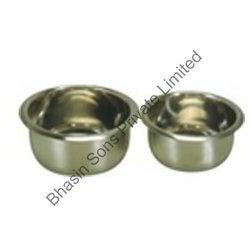 These bed pans are manufactured in accordance with the international quality standards. 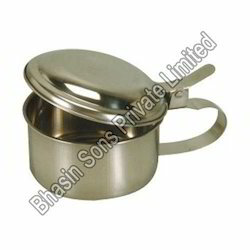 This product we offer is highly durable, which is provided with efficient lids for closing it after usage. This is widely accepted for being cost-effective and consistent. We also offer customized specifications from clients with timely delivery. Dressing Jars with cover is one of the best-selling products that have a wider acceptance in the market. We offer these dressing jars at a diminutive price for customer satisfaction. These are composed with different dimensions and advanced specification according to the client’s request. These products are known and reputed for its resistant towards corrosion, stain and other natural effects. We offer these products at competitive price range. 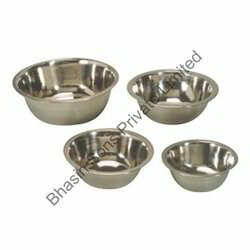 We are widely involved in manufacturing and exporting a wide range of Gallipots across the world. This hospital required products are appreciated for its extreme application. It is made of premier quality steel alloys to ensure its consistency and reliability. These are most commonly preferred in hospitals and clinics present all over the world. 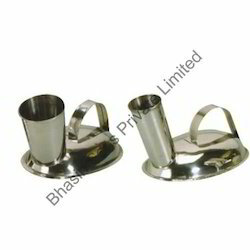 It is available with us at cover-cup shaped in two different sizes of 4 oz capacity and 6 oz capacity. More over it is valued for its expandable life span and effective performance. 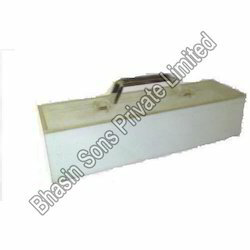 We are widely involved in manufacturing and exporting Aluminum Surgical Boxes across the world. These boxes are manufacture using industry leading steels to meet the international competitions. It is widely appreciated for its rust proof qualities and durability. Due to its compact size it enables easy to handle and highly portable. More over these are available in various sizes according clients request spread all over the world. Looking for Hospital Hollowares ?